Tom Kehoe, a 1988 alumnus of McDaniel College, discusses his role as founder, president and brewmaster of Yards Brewing Company, a craft brewery in Philadelphia. 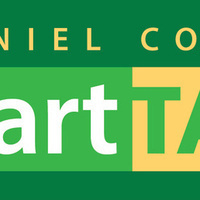 SmartTALK brings notable alumni back to campus for an hour-long, on-stage conversation with McDaniel President Roger N. Casey on their subject of expertise. This event is free and open to the public. Call 410-857-2290 for more information.